I will be posting in english since it's easier for me to do so without butchering grammar too much, and also because it opens the topic to whoever might be interested in contributing and discussing. 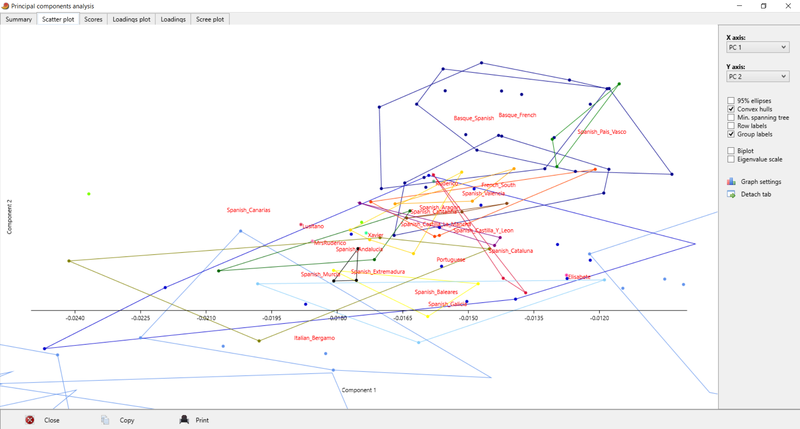 I was interested in making a simple study about the variation of different sources of ancestry within non-Basque Iberian populations, so I made a simple model in nMonte3 using regular/unscaled G25 coordinates with the standard penalty, as advised by Huijbregts. Some people prefer scaled coordinates, but I'm sticking to my guns. I'm not striving for exact ancestry proportions, but rather on how these vary across the peninsula. There are multiple ways of making these models, I decided to go by populations from around the Iron and Bronze Ages, however since there are no IA samples form Iberia avaliable, I used a few others as proxies. 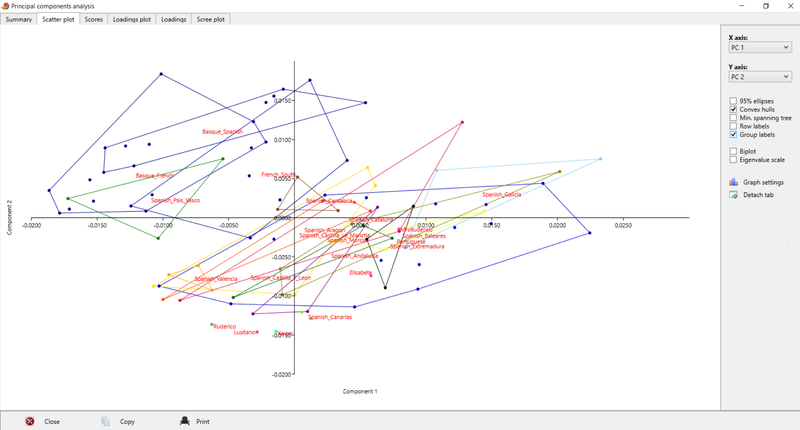 I'm not dogmatic about the model choice, if you feel these populations should be changed, and a few others added feel free to give your input or post your own models (G25 unscaled, pen=0.001). I'll make a quick explanation of why I used these references before moving on to the results. Iberomaurusian - I was actually really torn between using this or the Guanche11 sample. The latter is identical to modern Moroccans, but would probably make a lot of sense given it's dated from the 8th century. However it contains Steppe and EEF ancestry, and as a consequence Guanche11 score would vary depending on the other references. I decided to use Iberomaurusian simply because it's a North African-specific source of ancestry and and not related to other groups at all. As I said, I'm not dogmatic about this choice of references, it's just a way to start. Below are the results for different regions of the peninsula. Keep in mind that some/most references were built with only 3 or 4 samples, so it's best not to take the results too literally. Besides there's personal variation to account for, and so few references doesn't do it enough justice. Guess that some people are scoring Levant_BA_N by getting a lower amount of Collegno (or the other way around), so I'm not too happy about this choice in particular, it might not be very useful to begin with. Hallstatt seems to be highest in the north and dropping as you move away - although I suspect some "Basque effect" might be in play, as they would score high Hallstatt aswell, but because of higher HG ancestry, not necessarily Steppe-related one. On the other hand the Roman proxy is clearly higher in the south, and around coastal areas, the Baleares in particular seem to score a very high amount of it. And finally, as expected, North African-specific ancestry is higher in the West, and gradually lowers as you move East. A simplistic analysis indicates the Portuguese reference as perhaps the least autochthonous of the bunch, increasing as you move close to the north/northeast, although as you'll see below personal variation rules a simple scenario out of the window. It may be a trend, but hardly a rule. Below I'll post a few results for Portuguese forum members and relatives, just for fun. If you are Iberian and want to be added, just post your G25 unscaled coordinates. Can you refer me to a source (or give a quick summary) of regional population genetic differences within Portugal? Familiar with the situation across the border, but knowledge of inter-regional differences in Portugal might clear up some issues I’m having modeling crypto-Jews from Trás-is-Montes. Unfortunetly we don't have such information, eyeballing though various results from Gedmatch calculators is very difficult to establish any form of regional variation because you find people with ancestry from roughly the same region with "very different" results. It may be that personal variation is more important than regional variation (although to be fair I haven't seem results explicitly from the south of the country). 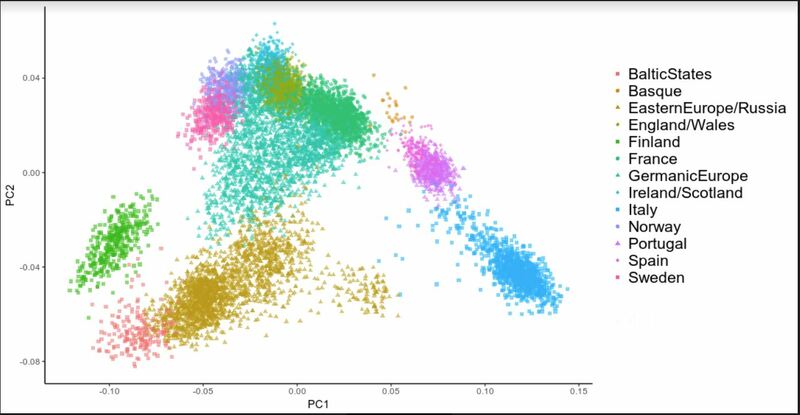 This seems to be in line with PCA plots in which Portugal and Spain have a very large overlap, it appears Portugal despite its small size holds a fair degree of internal variation. For example, as you can see my result is virtually the same as the Castilla y León reference. My ancestry centroid is relatively close to that of rxavierflima's (we even have ancestors from the same parish), except more eastern. Similarly my missus place of origin is not too far from Lusitano's, yet our results are nothing alike. Last edited by Ruderico; 02-08-2019 at 04:53 PM. 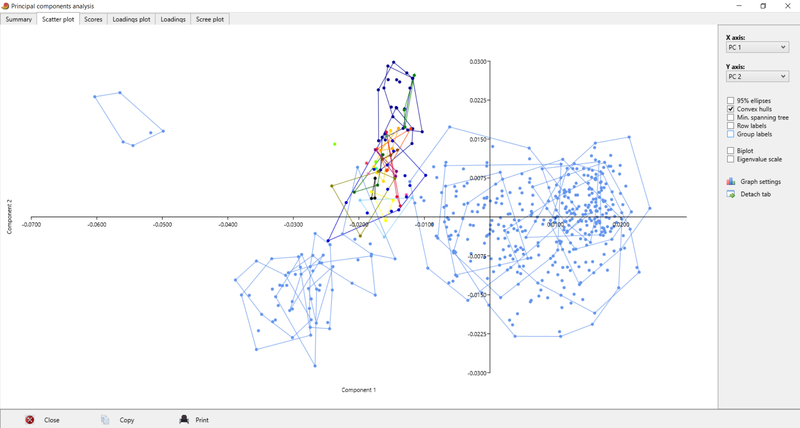 To put things in prespective I decided to make a few G25 scatter plots with different datasets, just to see how each group (and individuals) change their relative position as the dataset has additional references. Each group will have its unique colour, which I'll list below. Individuals will be easier to spot because they'll have their name standing next to their symbol. 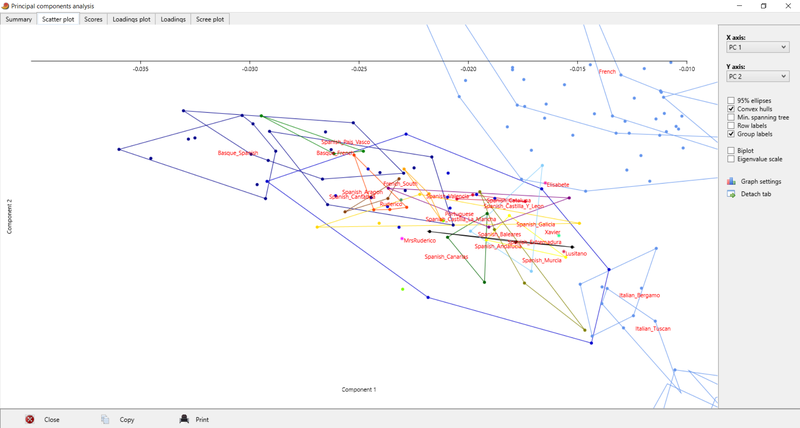 I'll start off with a scatterplot exclusively with Iberian populations, just for future reference. Next we'll add North African populations, to check who gets pulled the most. 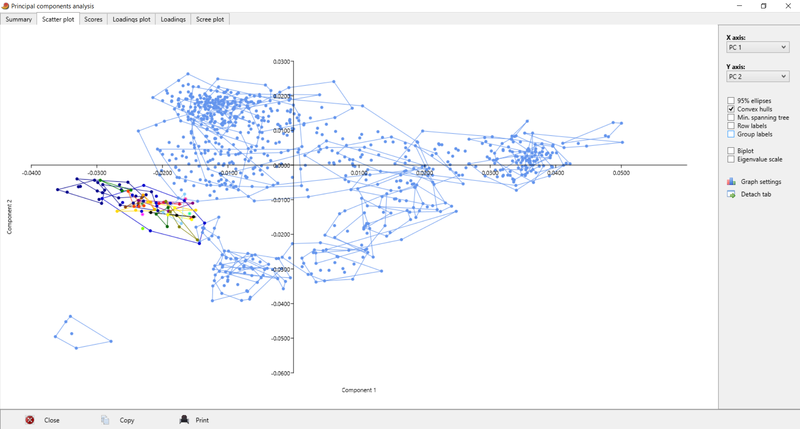 Since the scatter plot will make the Iberian cluster smaller and thus harder to read, you can see a zoomed image here. As expected from the previous model, Canarians and West Iberians get to plot closer to North African populations than the rest. One Portuguese sample seems to be pulled as much or more than Canarians, for some reason. 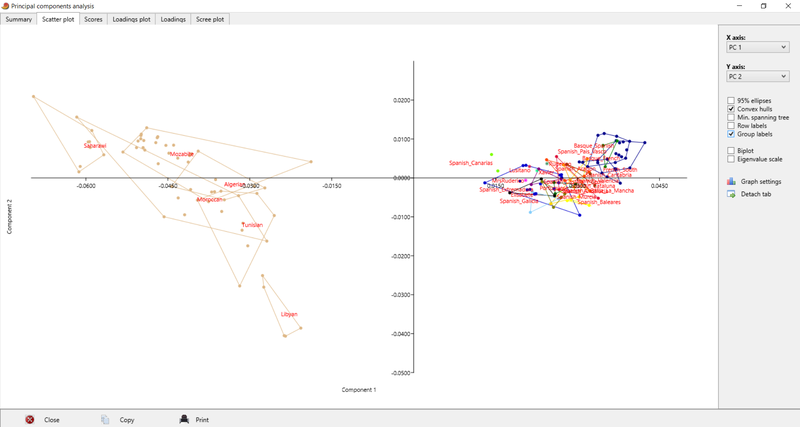 The following scatter plot includes (north)West Europeans and all Italian populations (including Sardinians). 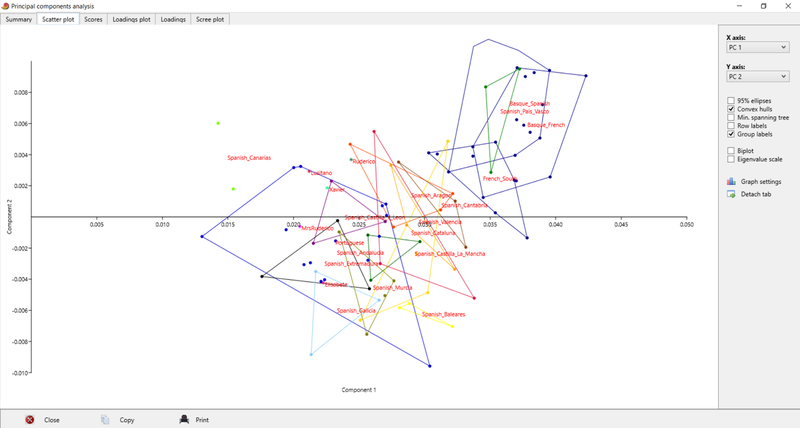 And finally the standard scatter plot with all European populations, which you're probably already used to see. Once again you can see the zoomed version. Last edited by Ruderico; 02-08-2019 at 07:39 PM. Há uma coisa que não percebo segundo o teu modelo: o que me faz tender para a Itália é ter mais Italy_Medieval_Collegno_o1 mas o que é faz elisabete tender para a França? Não é ter Hallstatt_Bylany mais alta por si só porque tu tens ainda mais. Pelo que percebo é ter também bastante Levant_BA_North em comparação com os outros. Mas isso dá a entender que o que separa os franceses dos portugueses é o facto dos primeiros terem mais sangue do médio oriente, o que nao me parece correcto. Isto é o tal problema de passar 25 eixos para 2? É possível, mas também acho que o modelo inicial é demasiado simples para fazer essa distinção, ja que tanto a Elisabete como eu temos valores altos de Hallstatt, mas ela tende para França enquanto que eu para o Norte de Espanha. Já a minha namorada plota relativamente perto de mim e tem menos 20%..
Last edited by Ruderico; 02-09-2019 at 07:24 AM. Sorry to post in English but at least since a couple of week I decided to learn Spanish ( by myself). I found this interesting article and I want to share with you. I decided to pick up from here, because the previous model was indeed unable to distinguish between different sources of "northern" admixture. The model's fits improve a bit too, which is good. I'll remind everyone that the regional references were built few samples, so the results shouldn't be taken too literally. Looking at the regional frequencies again, Hallstatt peaks in Castilla y León - although this component can be picking up more recent CEU ancestry than simply Hallstatt groups that moved into Iberia since the late Bronze/early Iron Ages. 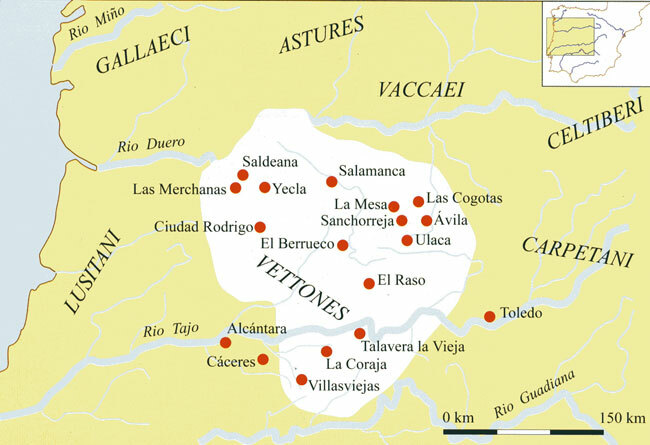 This makes sense, given it's where most of the Meseta is located, and it has been historically important in the process of IE influence in Iberia, notably Cogotas I and II, earlier Beaker influence, although mostly on the Castilla area, closer to Aragón, and even later Celtiberian tribes, also on the easternmost areas. Galicia scores relatively low, not totally unexpected as its process of Celtisation was late, and continued even by the time Romans were fighting Celtiberians further East. Although this could simply be the consequence of the very few samples avaliable. 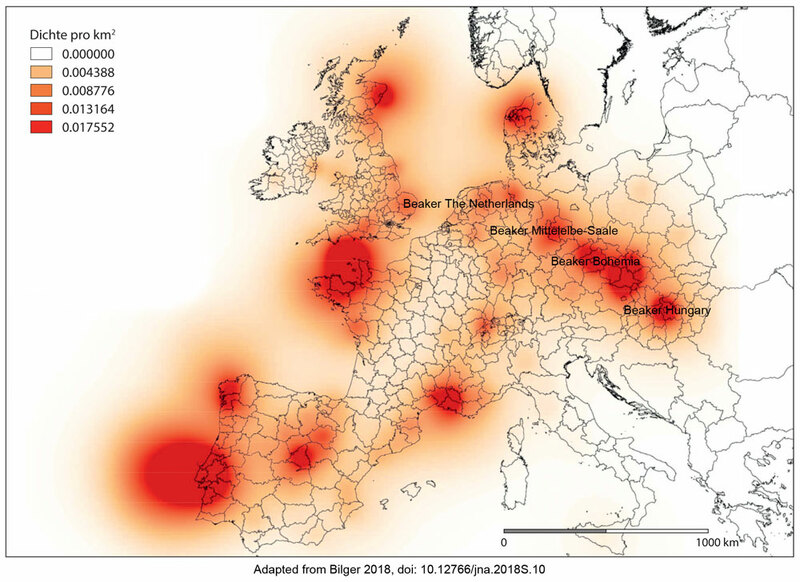 Also predictable that populations close to Basques scored high Iberia_BA, notably Cantabria. Last edited by Ruderico; 02-13-2019 at 10:17 AM. Dito isto, acho que este modelo faz bem mais sentido! Curioso. Então isto não tem razão de ser? Ciclo de conferencias El poder del pasado. 150 años de Arqueología en España, MAN.